This week was very active with several bills being heard in committee and several moving on to the next stage of the process. 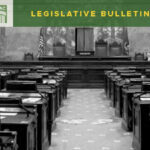 The annexation-related bills discussed in last week’s blog were both voted out of the House Local Government Committee (HB 1357 and HB 1598) although HB 1357 was significantly amended. The amendment included removal of the exemption piece which made annexations of unincorporated “islands” no longer subject to a citizen referendum. The amendment was a disappointing development. 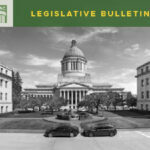 Other legislation we’ve been following that has been voted out of committee includes SB 5008 – Short Subdivisions, SSB 5037 – Planning/Parcel Boundaries, SSB 5372 – Local Plan Review, SB 5151 – GMHB Indexing, SB 5259 – GM/Ag Lands, and SB 5329 – EFSEC Streamlining. It’s also important to note that SHB 1579 – Chinook Abundance, was also moved to the next stage of the process. 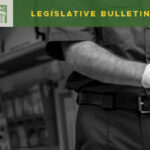 This bill, while being portrayed as part of the overall strategy to save the Southern Resident Orca, includes the all-too-familiar prescriptive civil authority for WDFW HPA enforcement. WSAC has been opposing this same legislative proposal for several sessions. It is concerning that the bill is moving, and we’ll continue to monitor its progress and express our concerns. This bill would require that density within a UGA be no less than six units per acre. It also would mandate certain types of housing be allowed in areas designated for residential development and located within ¼ mile of either a school, park, rail station, commercial use, mixed-use or multifamily housing. It would limit parking and utility requirements and certain construction requirements for certain types of housing. A new state grant program would be created for related planning costs and other strategies that increase housing. 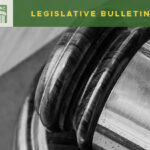 Finally, the bill would also require that counties update their comprehensive plans and development regulations in order to comply with the bill by 12/31/2020. The updates would not be subject to appeal until the next regular required update. Related SEPA determinations would not be subject to appeal either. This proposal is from the Chairman of the House Environment and Energy Committee, Representative Fitzgibbon. It is a lengthy and complex piece of legislation that aims to provide a choice for local governments to address housing needs. The overall proposal creates two options. The first allows a choice of strategies that a community can pick from in order to meet the requirements of the new law. The second option is to comply with new analysis and reporting requirements as part of your housing element in your comprehensive plan. The second option provides more flexibility as the resulting strategies can be locally-driven and are not prescriptively included in the bill. However, the first option provides a “safe harbor” clause, removing the risk of SEPA appeals. This bill is mostly focused on cities, only applying as written to counties in the requirements for the housing element updates to comprehensive plans. However, recent conversations with Representative Fitzgibbon indicate that all references to counties and related requirements were not intended and will be removed. WSAC will continue to monitor this bill.